New Delhi: Trade body ASSOCHAM asked the government to raise the duty-free allowance for incoming international air travellers from two litres of liquor to four, saying 75 per cent of the total purchases was of wines and spirits. 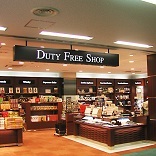 Maintaining that duty-free sales at Indian airports was estimated to be around USD 350 million annually, the ASSOCHAM said about 65 per cent of the total sales was from arrival duty-free shops and three-fourths of it consisted of liquor. An additional two litres of duty-free liquor sale would generate an estimated USD 125 million extra, it said in a letter to Finance Minister Arun Jaitley ahead of the budget. "To promote tourism and stimulate buying on international arrivals, many countries have a higher duty-free quota for travellers provided they do shopping at the arriving airport," the organisation said. It gave examples of several countries including the European Union, the UK, Brazil, Sri Lanka, Dubai and Singapore to show that these nations allowed a higher quota if the wines and spirits were bought at their airports on landing. To compete with this, the government should allow duty- free import of additional two litres, as it would help enhance revenues to the airport operators including Airports Authority of India and the government, the ASSOCHAM said.